The last time I cut the hedge at the bottom of our garden was three years ago. This was the photo I posted on here at the time. Since then, other stuff has got in the way and I’ve been trying to ignore the hedge. Unfortunately it keeps growing. Over the last 3 weeks I have been working to bring it back to a more manageable size. I wanted to make sure that I cut it before any birds started nesting in it. I am trying to schedule a couple of hours a week in the garden now, an hour at the weekend and an hour one day after work. I knew I couldn’t do the whole hedge in one go. Last weekend I cut as much of the top and side as I could reach, about two thirds of the length…and then I stopped. Yesterday I cut the rest of the top and sides. This left a bit at the far side of the hedge which I dealt with today with my long lopper – again I treated this as a separate job. 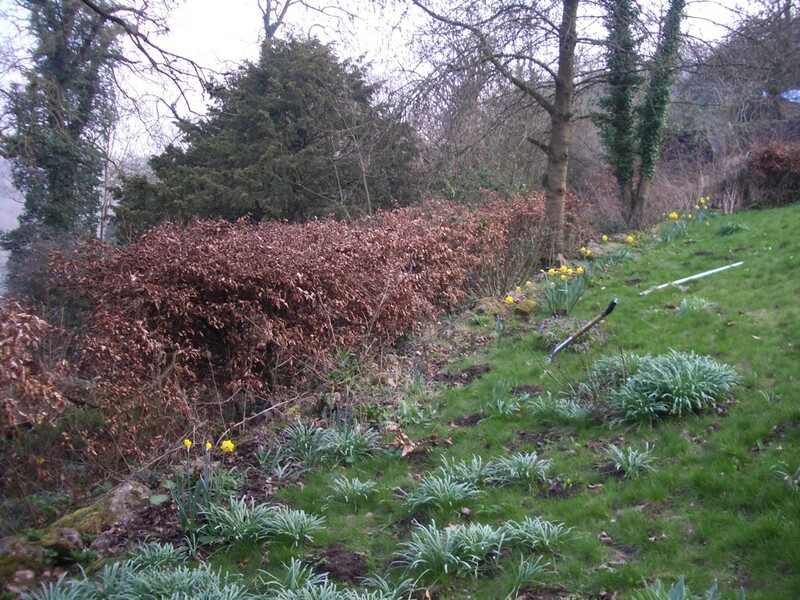 The final part of the hedge cutting will be to remove the remaining brambles from the bottom of the hedge. That will be my next job, either later in the week or next weekend. What I have learned from this is that the way to keep the garden a bit more under control is going to be ‘a little and often’. Dividing a daunting job up has also helped – knowing I have finished each part of the job has helped me to keep going. Are you tackling any garden jobs at the moment?